We had made no plans for the Bank Holiday weekend other than to make the most of any fine weather and to keep our spending to a limit. So on a dry but cloudy Sunday we headed off to the nearby village of Elford to visit their annual Scarecrow Festival and also to wander around the walled garden there. 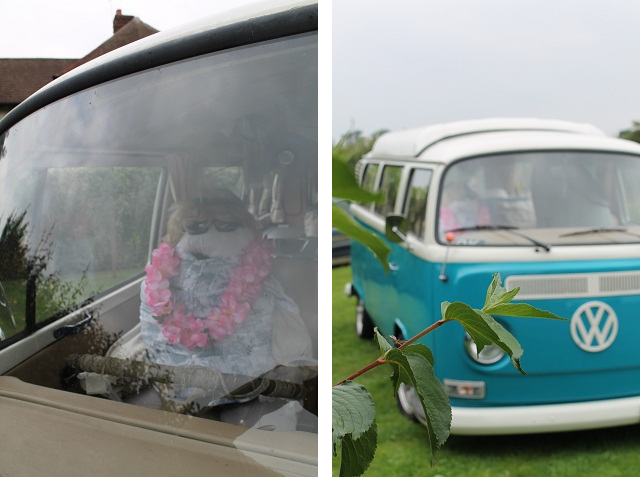 Here are my highlights and a few of the seventy odd scarecrows dotted around the village. Childhood favourites, Mr. Men, Where's Wally (and his brother), Worzel Gummidge and Aunt Sally. Some royal guests, a new arrival and Mary and (scary) Paul from The Great British Bake Off. People had fun playing with names - here's Mo Crow and a miserable Les. For the last three years Elford Walled Garden has been undergoing renovation by volunteers. After much hard work it looks fantastic and is bursting with crops and flowers. and the biggest bug hotel I've ever seen. We headed out of the walled garden to the see a church complete with a scarecrow congregation and Jesus (scarecrow version) walking on the water. Then it was back through the village for some more scarecrow spotting. An amazing effort from one village and many volunteers. We made a donation to the event but felt under no pressure to do so. Both the festival and the walled garden deserve continued success. Such a worthwhile event. I LOVED those scarecrows, some of which made me laugh out loud! And the walled garden is absolutely beautiful! Wow! Those donations are so important to keep these events going. Wow, what a wonderful find. 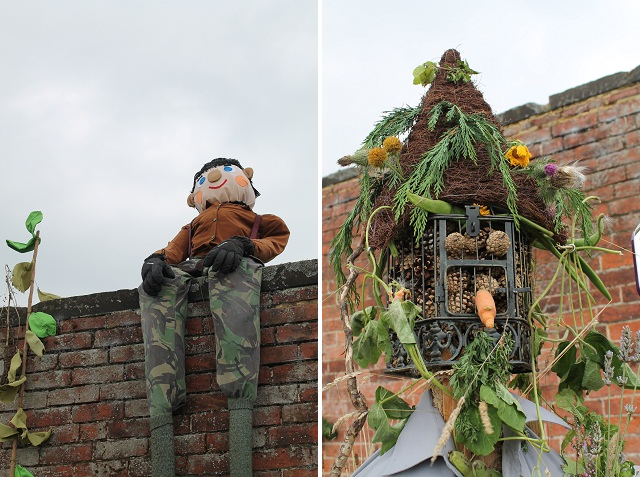 The scarecrows are amazing and that walled garden is beautiful. That looks like a really wonderful day out. I love days like that. Those are really creative scarecrows. The one after Where's Waldo, with the solid red shirt, has a spooky face. SO much fun seeing the gardens and the creative scarecrows ! Thanks so much for the share, it really had me smiling. They're so great! I love the weight lighting one! Gosh, aren't people creative?! Brill. Those scarecrows are fantastic! We have a competition in a neighbouring village at the beginning of August. The scarecrows always make me smile! I loved the Mr Men and Great bake off! The walled garden looks wonderful. It's lovely to see a community working together to raise money and restore the garden. Those scarecrows are great! I enjoyed this post! There's an annual scarecrow in a village here too and I always love to see the wonderful creations people come up with. (If you;re interested, you can find scarecrow posts in my blog archive in the months of May, possible early June). The walled garden looks lovely too. Amazing, so much time and dedication has gone into making these fantastic scarecrows. The walled garden looks beautiful too.